When i heard that they were looking for translators to help with a medical team through the organization Cup of Cold Water Ministries-a medical team that was going to go on a two week trip through the bolivian jungle I signed up. Little did I know the adventure in store. Crazy river crossings, swinging bridges, mud, mud and more mud. It was exactly what i needed. 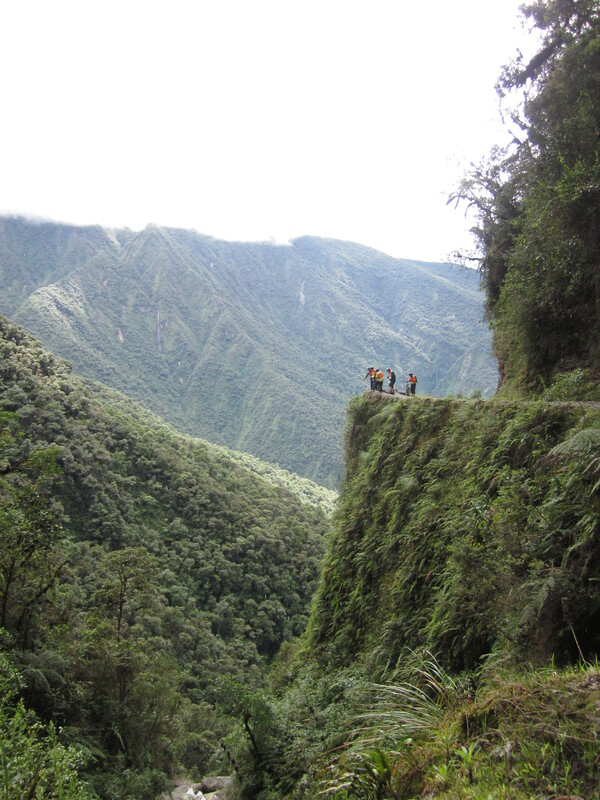 We started out on Day 1 biking down the infamous “Death Road“, which is a crazy road that winds down from the peaks surrounding La Paz to the deep valley floor below. Its a single lane dirt rod, literally cut from the mountain side, with tight hairpin turns around this-will-mess-you-up-real-good drop offs. And if that wasnt enough, its prone to frequent landslides, causing the road to be impassably blocked, or just completely fall to the valley below. Up until a few years ago it was still the main highway, although now there is a safer alternative route. Little did i know then, that would actually be the most organized part of the adventure. …and thats where i left off….clearly much more of the story left to tell, will try to dig up some of those photos, because it was quite the adventure!